SA-Dakar Rally: Aprilia without changing engine - Duclos "Think about 2013". The 34th edition of the Dakar, and the fourth in South America, comes to its end. After 8400 kilometers, riders have finally crossed the finish line in Lima, and so has the French Alain Duclos - last official Aprilia factory driver, after favourite Francisco "Chaleco" Lopez hat to retire. 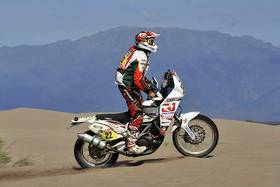 But: Duclos and his Aprilia RXV was the only "factory" rider to complete the Dakar without changing the engine. 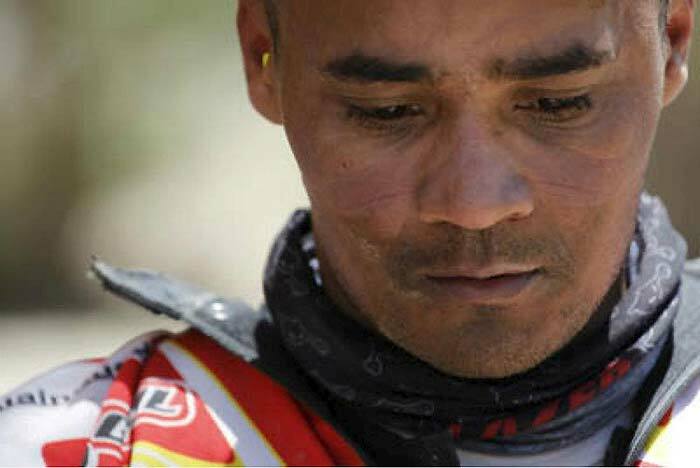 Alain Duclos finally was able to cross the podium of the finish line. For him, things were not easy during the race, electrical problems pushed him far behind at stage seventh, but the French-Malian rider showed from the first days that he had the skills to take the Aprilia RXV to the best positions. The expectations of Duclos changed in the rest day, and the main goal was reinvented to finish the Dakar with only one engine, with only the engine he started the race in Argentina. The reliability of the v-twin of Aprilia was proved and Duclos completed the Dakar as the only "factory" rider to use just one engine. "Another Dakar is over" said Alain Duclos. "I am glad I crossed the finish line and of course, I expected a better result. The Dakar is always a great life experience and a passionate adventure. 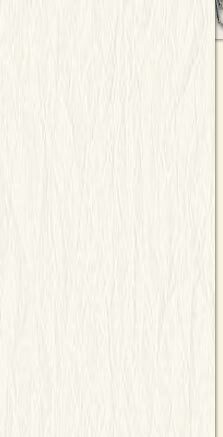 And I am also glad to have discovered another country that gives us a warm welcome. 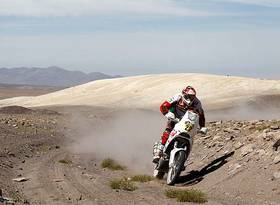 Tomorrow I will start thinking about the Dakar 2013." There are still regrets for the incident of Francisco López. "Chaleco" also showed his talent during the first half of the race, and it was the only rider that shined behind Coma and Despres. Even if his health condition after the recovery from his fall in Tunisia was not at 100%, he was able to sign a stage win, the sixth victory of his career.